"Krabi Province, which lies along the coast of the Andaman Sea in Southern Thailand, is a top tourist destination as a result of its plentiful natural attractions including, white sandy beaches, crystal clear water, extensive coral reefs, numerous caves and waterfalls, and over 130 islands, including Koh Lanta and the jewels of the Andaman coast, the six islands of Mu Koh Phi Phi National Park. While not the top destination in and of itself, Krabi Town is a charming provincial capital located along the banks of a river that leads to the nearby Andaman Sea. Consequently, Krabi is an important port city for both local fisherman as well as boats ferrying visitors to the nearby attractions, including Koh Phi Phi, Koh Lanta, and Railey Beach, one of the premier rock climbing destinations in the world," quote from www.tourismthailand.org/Krabi. Finals on the 10th, while this beach getaway on 11th to 13th, I'm badly in need of a pampering trip as a reward for studying so hard and release all my stress in these 3 months. Even though my exam is just around the corner, I did a quick research on Krabi; the hotel, food and attractions and all these have just become the reasons why I want must experience Krabi. 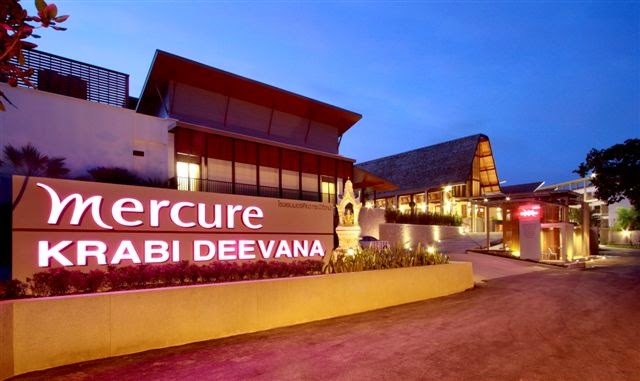 The sponsored accommodation of this beach getaway, Mercure Krabi Deevana by Asia Web Direct. Mercure Krabi Deevana offers chic accommodation in contemporary low-rise buildings a short distance from Ao Nang Beach. With 213 stylist rooms and suites, each with a private balcony, guests can enjoy the resort's excellent facilities and benefit from gracious and personalized service from the welcoming Mercure team. The brand new resort features an exceptional restaurant and bars, three large outdoor swimming pools, a kid's pool, a restful and rejuvenating spa, and outstanding meetings and event facilities. Being ranked as the top restaurant in Ao Nang by TripAdvisor and received many positive review in terms of food, ambiance and services, I'm really keen to try them out! 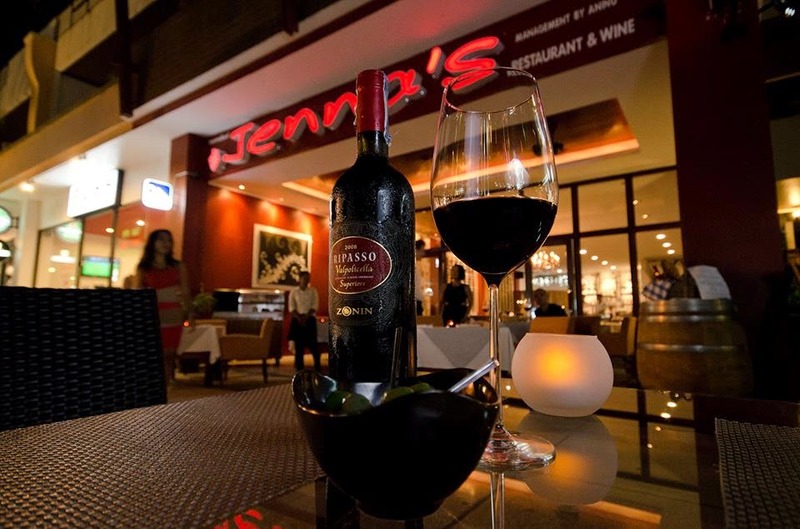 Jenna's Fine Bistro & Wine is known for its sophisticated European and Thai cuisine. 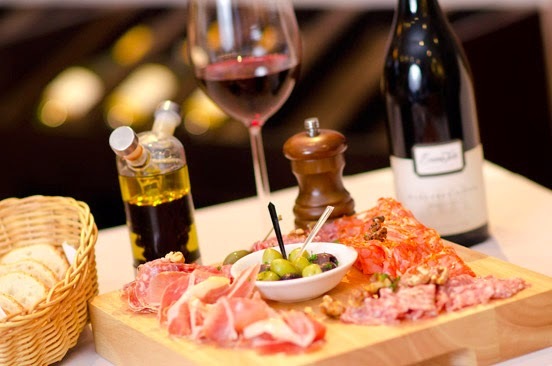 They offer cold cut and cheese platters that go well with their exceptional selection of wines and now they've come out with an excellent idea of picnic basket too where you can take away their food and enjoy your picnic by the beach. "Ban Lay Thai is in the line of Ao Nang's "Seafood Street", and its probably one of the best restaurants you can find here," copied from a review in TripAdvisor. It's primarily a seafood restaurant, which also has an extensive Thai menu. 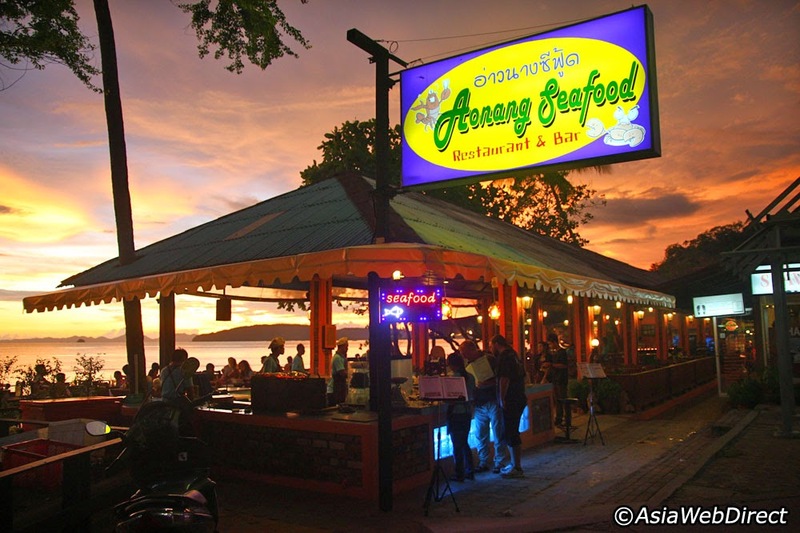 Recommended dishes are fish in lime sauce, tomyam and fried squids in garlic, and I heard they offer one of the best sunset view in Ao Nang. The night market is also one of the must go in Thailand because they gather all the yummy local food there. 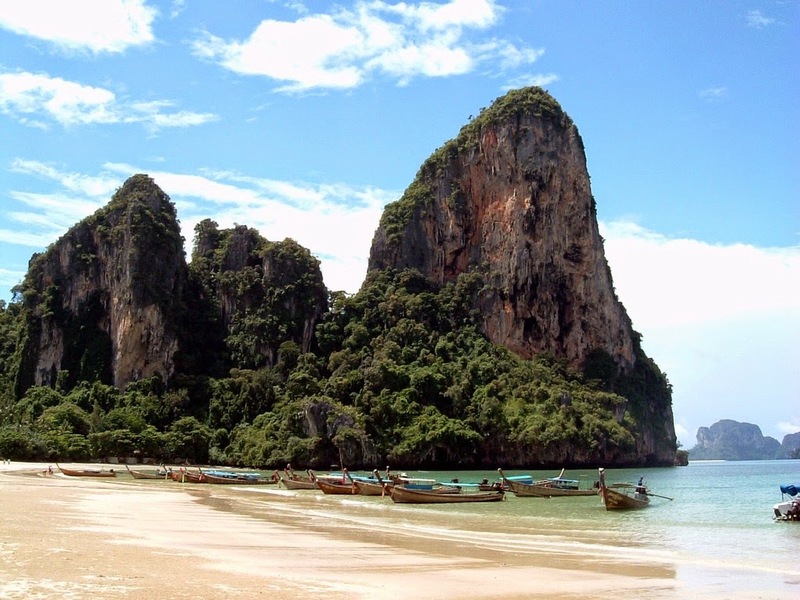 When I was searching for attractions in Krabi, this Railay comes in the first place. It's a small peninsula located between the city of Krabi and Ao Nang in Thailand and only accessible only by boat due to the high limestone cliffs cutting off mainland access. 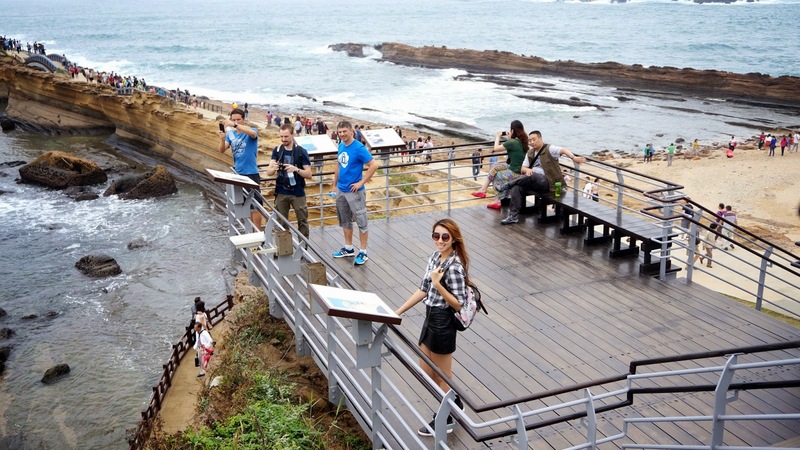 These cliffts attract rock climbers from all over the world, but the area is also popular due to its beautiful beaches and quiet relaxing atmosphere. Sea kayaking, diving, rock climbing, snorkelling, jungle trekking, cooking or even water rafting, you can find it all here in Railay! 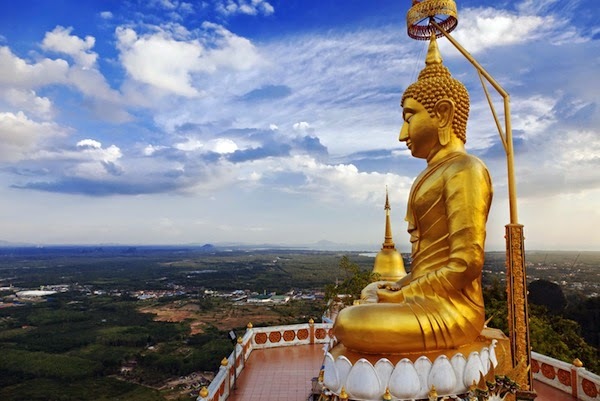 The Tiger Cave Temple is one of the most sacred Buddhist sites in Krabi, well-known for the tiger paw prints in the cave, tall Buddha statues and the strenuous flight of stairs to reach the summit. I've seen this place previously on a TV programme occasionally and to be honest, I was so shocked yet admiring those challengers' courage and strength to hike 1,272 steps all the way up to the temple. The climb is strenuous and should not be taken lightly; the steps are uneven and steep jutting up the mountain, however you can enjoy the breath-taking view over Krabi if you made it up there successfully. 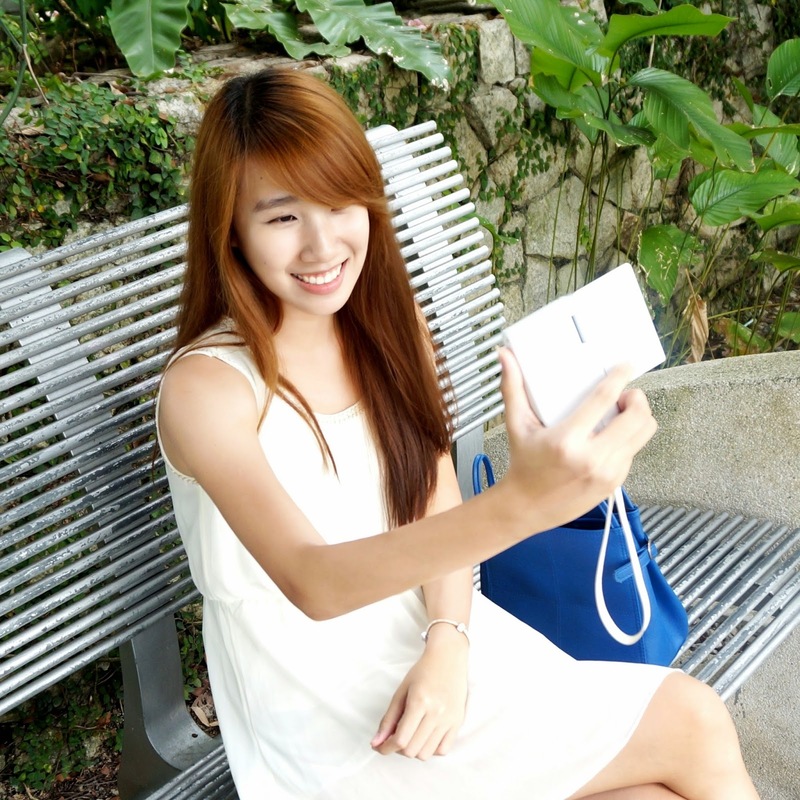 Take it or not? Once again, thank you Nuffnang, DiGi Telco, Malindo Air, Mercure Krabi Deevana and Asia Web Direct for this awesome beach getaway! It does motivate me to study even harder for finals while waiting for good news to be heard from Nuffnang. :P I had a rough itinerary in my mind already and hopefully my research is not wasted, cheerios!